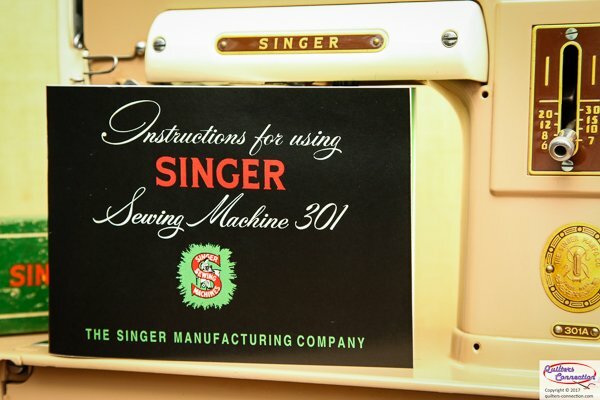 This is a high-quality reprint of the original Singer Instruction Manual for the 301 and 301A sewing machines. Same size as the original, it slips easily into your carry case for reference on all kinds of machine set-up, adjustments, and service. Sturdy cover stock and heavy paper weight make this manual more durable than the original. Perfect item to complete that vintage 301 kit!